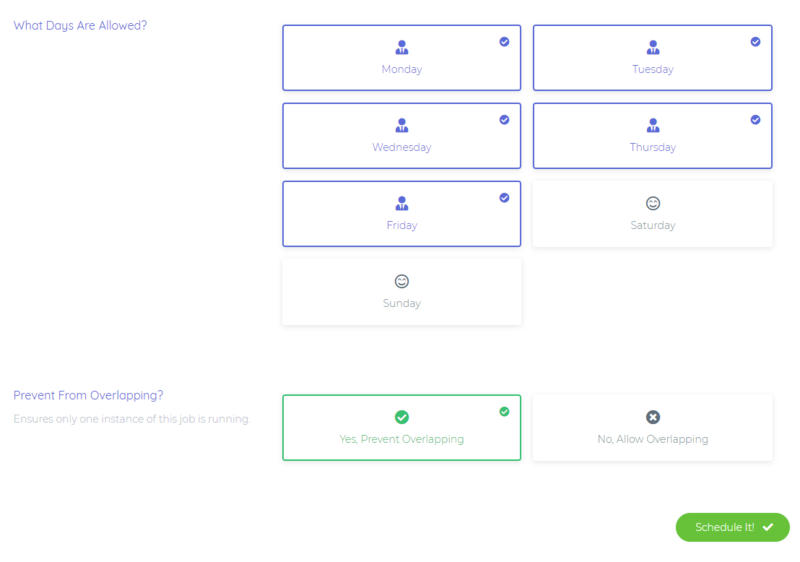 Coravel Pro's Scheduling allows you to schedule your jobs by using an attractive and intuative user interface. Scheduled jobs are persisted by Entity Framework Core under-the-covers. This means any scheduled jobs in production will stay in production. Any any in development environments stay in development. 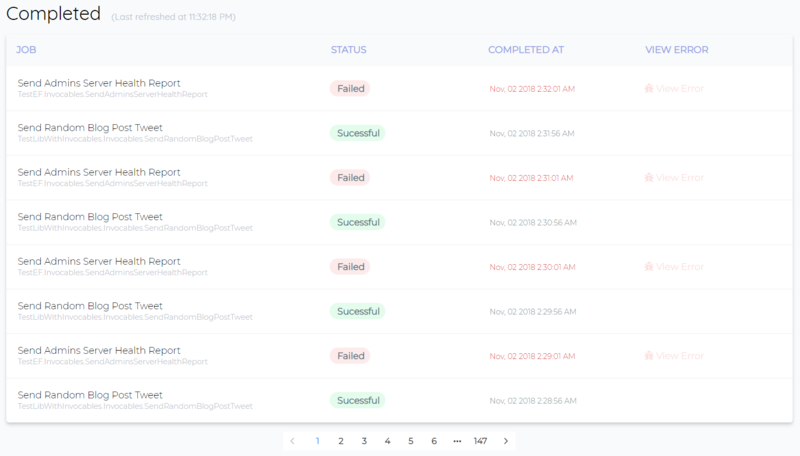 This is a useful tool when testing new jobs - so you do not accidentally push test schedules to production by accident! Just like Coravel Pro's Job Manangement, the scheduling feature will automatically detect all your jobs/invocables. There's no need to worry about adding your jobs to the service provider. You may navigate to /Coravel/Scheduling/ in your browser to view the scheduling page. The first section lists all the available jobs that are able to be scheduled. Next, you need to select what days the job will run on. This is useful if you only want certain jobs to run during the weekend, for example. Finally, you must choose whether the job will only ever have one instance running or if you want to allow multiple overlapping instances of the same job. It is recommended to prevent overlapping for most jobs, unless you have a specific reason to allow overlapping. From this list you may click the Unschedule button to unschedule the job's specific schedule. 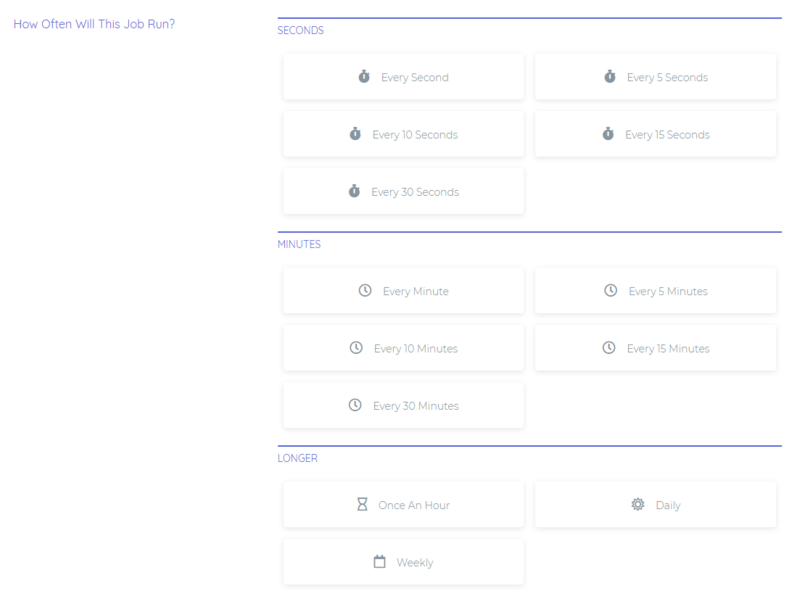 On the main page, after Available Jobs, you will see the history of all completed scheduled jobs. This list is refreshed every 15 seconds. Like Job Management - you may view the details of any failed jobs by clicking View Error.